Looking for a learning experience that offers unique opportunities for your child's success? All Macomb County Residents have the opportunity to enroll in Fraser Public Schools! District residents are able to enroll their students at any time during the school year. Fraser Public Schools boundaries include the entire City of Fraser, and parts of Roseville and Clinton Township. You can verify that you live in the district by viewing our district map or by calling Central Enrollment at (586) 439-7014. 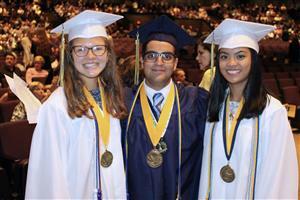 Fraser Public Schools participates in Schools of Choice in Macomb County. This program is open to students who reside anywhere in Macomb County and have not been suspended during the last two school years or ever expelled. An official disciplinary report from the prior district(s) for the last two school years is required at the time of enrollment. School of Choice families are responsible for their own transportation. Applications can be completed online, printed and brought to the registration appointment or completed at the appointment. Elementary (K-6) Schools of Choice students with completed applications will be guaranteed a spot in our district. Actual school placement will be made in August 2019. We make every attempt to keep siblings together. 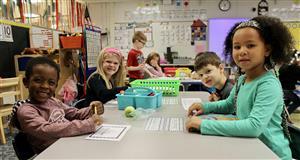 Students enrolling in kindergarten or DK in Fraser Public Schools need to take the Brigance Assessment in addition to a parent or guardian filling out the enrollment packet and completing a registration appointment. Click on the Kindergarten/DK Enrollment link in the gold links on the left side of this page for assessment dates. The Brigance assessment does not need to be completed prior to registration but will need to be done before the first day of school. Please bring the following information with you to the administration building to complete the registration process. Proof of Custody (when applicable). You must have court issued papers showing that you have legal physical custody. Current Immunization Records (by State Law a child may not start at a new school without proof of immunization). We cannot let a child attend even one day without these! At least the first of the three-shot Hepatitis B series must be documented and included with all other immunizations. Also the parent/guardian must furnish proof of the child having had the chicken pox or varicella vaccination. Please note, the following situations will require administrative review by Central Office. Fraser Public Schools Provides a Safe Learning Environment from Fraser Public Schools on Vimeo. Follow the Fraser Family on Twitter!